Building walls out of limestone blocks around your garden or lawn is an excellent way to add both aesthetic beauty and functional appeal to your outdoor landscape. Are you looking for a guide on how to choose and lay blocks on your own? Well, you’re not alone. There are many homeowners in Australia like you who are looking for tips on how to erect their limestone walls. Building walls with limestone blocks require careful thought and planning. However, once you have the skill and the zeal to get it done, the work can be smooth with the right advice. 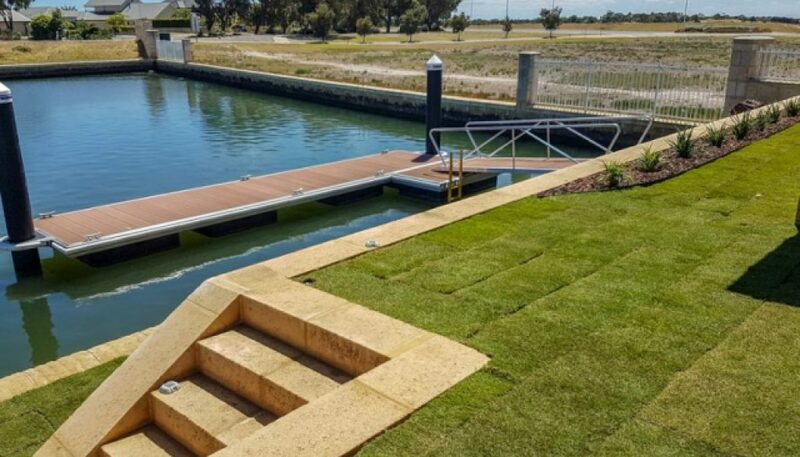 A Guide For Choosing & Laying Limestone Blocks There are several factors to consider before embarking on this task. If you think you might not have the required skills or time for the job, it’s better to leave it in the hands of professionals who lay limestone blocks for a living. These blocks can be up to 250kg each and should not be moved without the aid of proper machinery. Discussed below are the basic D.I.Y. guides for laying limestone block walls. As we are not able to see your property or where you intend to lay these blocks, we cannot speak for every scenario & all care should be taken & professional advice sought to ensure all safety & the longevity of the wall (we don’t want you to get hurt!). 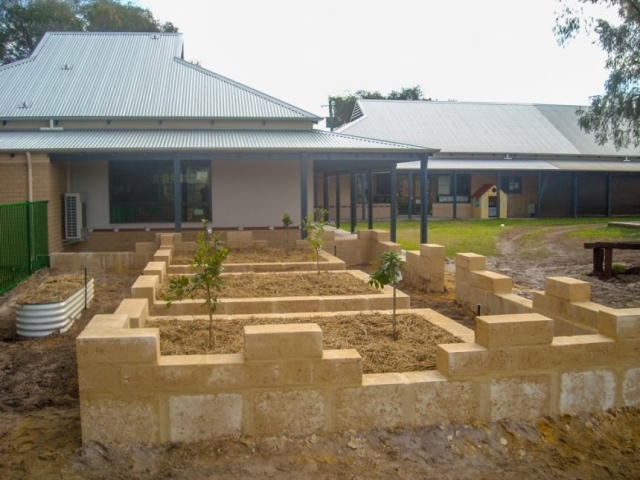 Before you decide on how to lay the limestone blocks in your outdoor area, you should first consider your local soil conditions. Some places around the Southwest can be more challenging and this is why you need to thoroughly examine your soil first. Your limestone foundation needs firm soil in order to make it stable for a long period of time. You can always ask a soil engineer for soil analysis or you can contact professional limestone wall contractors. Generally, what you need is good, solid, compacted soil that can withstand the weight of your limestone wall. If you’re unsure, be sure to ask! What is it going to be used for: Edging, Seating, Small Retainer, Large House Pad Retainer? This will affect your block choice. I use 1metre 250Kg blocks for a small house block retainer: 1000 x 350 x 350. Get shire approval if needed. Many councils have different regulations in relation to fencing & retaining walls especially over 1m. Mark out your wall area & dig out the trench wide enough to fit the block & any backing blocks if they’re needed. Check the soil for any rubbish and spread out some clean sand to compact. I would recommend a compaction testing company like ‘Structerre‘ to make sure the wall and sand around won’t sink. It should cost around $200-$400 depending on the job site. Figure out how many blocks you need, order them and place them around the trenches about 1.5m away allowing room for the excavator to move in front of them. Use the laser level to measure heights in the compacted sand base and then screed level the whole sand base ready to lay the blocks. Set out a string line from each end of the screeded base, measure off the house and off fencing and get 2 correct measurements to ensure you have a straight line that’s parallel with the house. MAKE SURE YOU CHECK THAT THERE ARE NO SERVICES OR STORMWATER TANKS RIGHT NEXT TO THE WALL & MAKE SURE YOU ALWAYS STAY WELL INSIDE YOUR BOUNDARY! Start laying from a corner or from the very end of the wall using a 20mm piece of PVC pipe to space the gaps between the blocks. Ensure your next course can be offset from the bottom block with its mortar joints, its called ‘half-stack bond’. The mortar ratio is 1:3 so 1 shovel of BRICKIES LITE CEMENT and 3 parts YELLOW BRICKIES SAND. Total should be 1 bag of cement to 12 shovels of yellow sand (full and even shovels to make sure the colour is consistent throughout all the mixes). Once the bottom has been laid you can fill in the 20mm gaps with the mortar mix (If the weather is hot, I recommend watering down the blocks first so the cement doesn’t dry out too fast. This gives you time to clean the blocks at the end of the day). 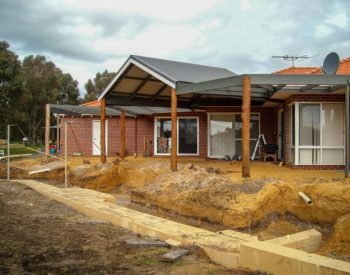 When you start the second course, lay at least 30mm of cement on top of the block first making sure you make 3 long lines about 80-100mm wide so it almost covers the whole block. But keep it away from the sides of the block and make sure it isn’t firm or compacted, you want it to be a bit fluffy so the block will compact in and allow you to move the block around for positioning. As you start laying the block the mortar will push out the sides and the air is pushed out of the cement. Now you need to shift the block to get it in line with the string. Keep the level with you so you can check the levels as you go. Once the wall is built and all the mortar joints have been completed, make sure you keep any weight off the walls for at least 10-14 days to allow time for the cement to cure. Yeah, there’s a bit of planning that needs to be done, a few calls to make first to ensure everything’s good to go, but then you’re off and racing! Remember, it’s all in the prep work! Get the foundations right and the rest will fall into place so much easier! If you’d like to view some of our Limestone work you can visit our Gallery, or if you’re looking for a quote why not connect with us on our Contact Page here.